This historical replica presents 6 panels with Kings of the middle ages. THe stein is produced in traditional salt glazed blue without coloring. 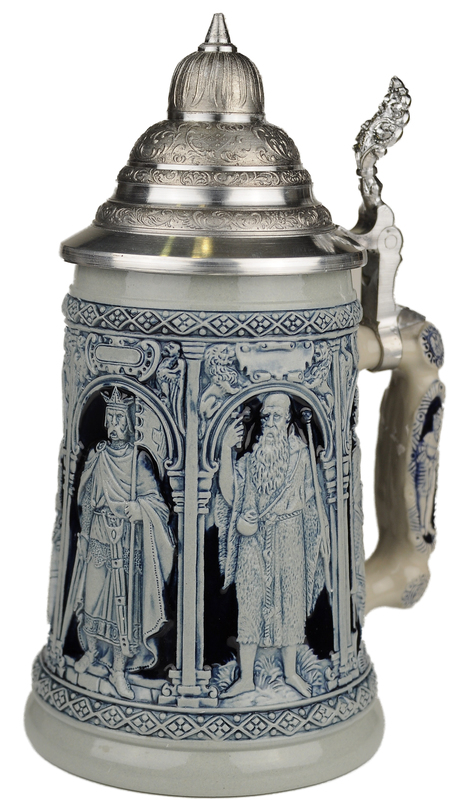 This stein is featured as a limited edition with an issue limit of 2,500 pieces..